The lightweight, uh, resin, lets them be upsized to outrageous proportions and still be comfortable to wear. So I looked, and I looked…and then, when I was browsing in a favorite bead supply store, what did I spy? 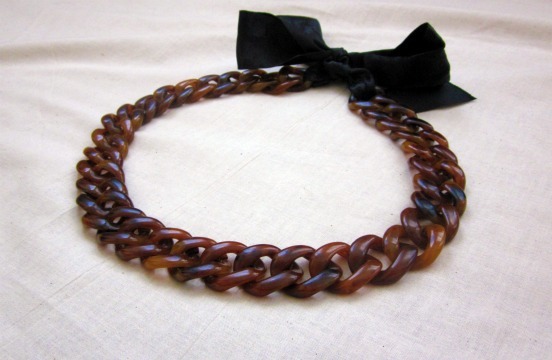 Oversized tortoiseshell plastic chain, by the foot! For a moment, I wanted to run back and buy a longer length, to make some extras, perhaps list them on Etsy. But alas, I have no time for Etsy. 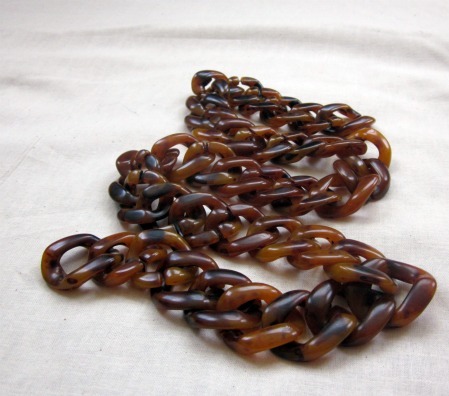 If you are in a like-minded DIY spirit, you can get tortoiseshell plastic chain from Toho-Shoji, at 990 Sixth Avenue in NYC (at 37th) for $5.50 a foot. They’re also online, but I don’t see the tortoiseshell varieties. 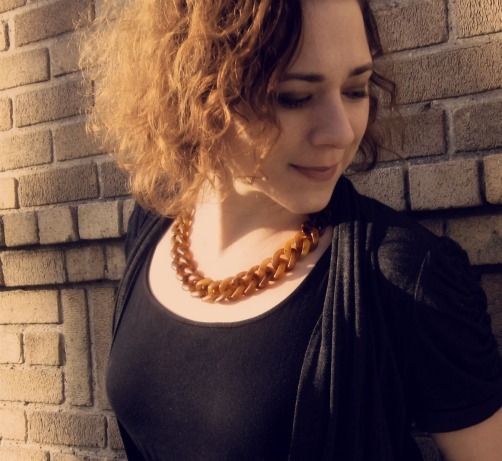 Some nice wood chains, though, shown on their website. I love that crafting sources follow the same trends as fashion, so whatever is in, likely the materials are “in”, too, and available somewhere or other, if one keeps one’s eyes open.